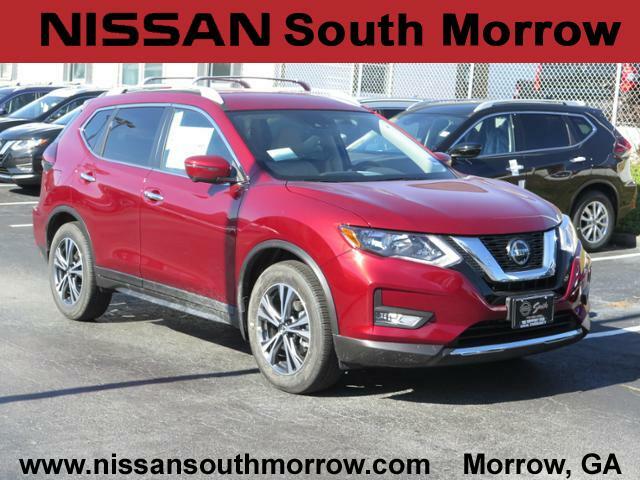 1] 2019 Rogue 0.0% APR financing for up to 60 months AND $500 NMAC cash for well qualified buyers OR $2,750 Nissan cash back. For well-qualified buyers. Subject to residency restrictions. Customer may choose (a) special APR plus NMAC Cash (b) standard APR through NMAC with NMAC cash plus Nissan customer cash, or (c) Nissan customer cash. Financing is subject to NMAC Tier 1 through Tier 2 credit approval. $16.67 per month per $1,000 financed at 0.0% for 60 months, NMAC cash available when you finance through NMAC and is subject to credit approval. $16.67 (60 months) per month per $1000 financed. $20.83 (48 months) per month per $1000 financed. $27.78 (36 months) per month per $1000 financed. Cash back when you purchase from new dealer stock. The delayed payment must begin exactly 90 days from the date of the contract. Accrual of interest commences from date of contract and consumer is responsible for payment of accrued interest. No security deposit required. Delayed payments are only allowed in Pennsylvania if the APR is 0%. See dealer for details. Dealer participation may vary. Offers end 04/30/2019. 2019 Rogue Rogue Hybrid Only $1,000 Nissan Bonus Cash. $1,000 Nissan Bonus Cash available on 2019 Rogue Rogue Hybrid Only. Nissan Bonus Cash valid 04/02/2019 through 04/30/2019. Down payment may be required. Available on lease and purchase. Must take delivery from new dealer stock. See dealer for details. Subject to residency restrictions. $500 NMAC Cash only available when you finance through NMAC. Subject to credit approval. $500 NMAC Cash available on 2019 Rogue . NMAC Cash valid 04/02/2019 through 04/30/2019. Customer may choose (a) special APR with NMAC cash, (b) standard APR thru NMAC with customer cash and NMAC cash, or (c) Nissan customer cash. Subject to credit approval. Down payment may be required. Available on purchase. Must take delivery from new dealer stock. See dealer for details. Subject to residency restrictions. For well-qualified buyers. Subject to residency restrictions. Customer may choose (a) special APR plus NMAC Cash (b) standard APR through NMAC with Nissan customer cash, or (c) Nissan customer cash. Financing is subject to NMAC Tier 1 through Tier 2 credit approval. $27.78 per month per $1,000 financed at 0.0% for 36 months, on all new above-noted vehicles in dealer stock. NMAC cash available when you finance through NMAC and is subject to credit approval. $16.67 (60 months) per month per $1000 financed. $20.83 (48 months) per month per $1000 financed. $27.78 (36 months) per month per $1000 financed. Nissan Cash back when you purchase from new dealer stock. The delayed payment must begin exactly 90 days from the date of the contract. Accrual of interest commences from date of contract and consumer is responsible for payment of accrued interest. No security deposit required. Delayed payments are only allowed in Pennsylvania if the APR is 0%. See dealer for details. Dealer participation may vary. Offers end 04/30/2019. $2,500 NMAC Cash available on 2019 Altima . NMAC Cash valid 04/02/2019 through 04/30/2019. Customer may choose (a) special APR with NMAC cash, (b) standard APR thru NMAC with Nissan customer cash, or (c) Nissan customer cash. Subject to credit approval. Down payment may be required. Available on purchase. Must take delivery from new dealer stock. See dealer for details. Subject to residency restrictions. 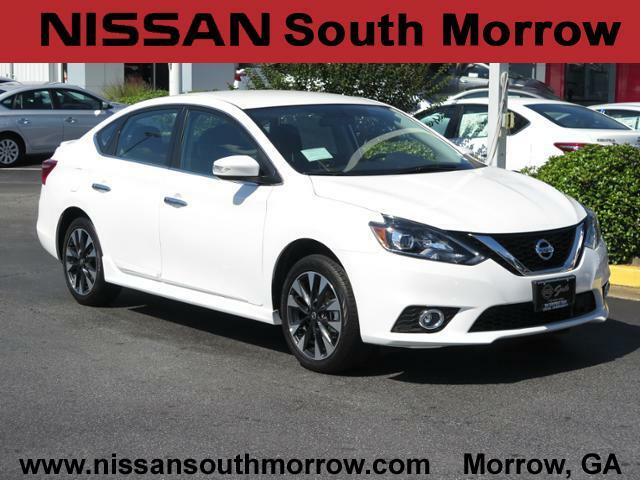 2019 Sentra 0.0% APR financing for up to 60 months for well qualified buyers OR $1,750 Nissan cash back. For well-qualified buyers. Subject to residency restrictions. Customer may choose either APR or Nissan cash-back-only option. Financing is subject to NMAC Tier 1 through Tier 2 credit approval. $16.67 (60 months) per month per $1000 financed. $20.83 (48 months) per month per $1000 financed. $27.78 (36 months) per month per $1000 financed. No security deposit required. Nissan Cash back when you purchase from new dealer stock. The delayed payment must begin exactly 90 days from the date of the contract. Accrual of interest commences from date of contract and consumer is responsible for payment of accrued interest. Delayed payments are only allowed in Pennsylvania if the APR is 0%. Subject to residency restrictions. Varies by Nissan region. See participating dealer for details. Dealer participation may vary. Offers end 04/30/2019. 2019 Sentra NISMO Trims Only $1,500 Nissan Bonus Cash. Amazing new car deals are available at Nissan South in Morrow and our Atlanta, GA customers can take advantage of them now! 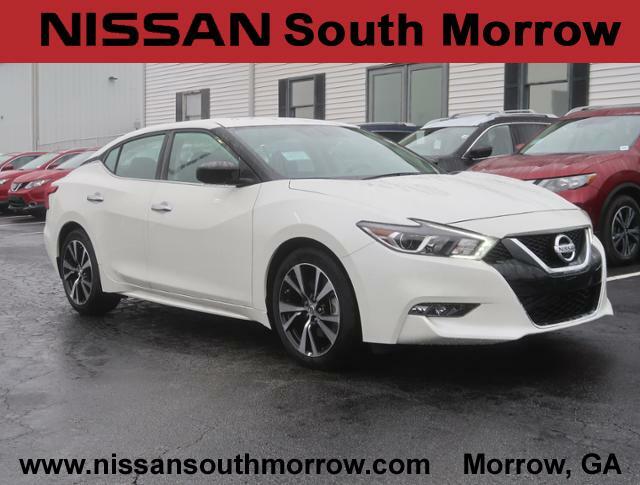 Whether you’re in the market for a capable SUV that can transport the whole family, a rugged truck to take on weekend adventures, or a sedan to fight the Atlanta traffic in, Nissan South in Morrow has a car to fit your lifestyle. Our regularly updated new car specials give customers near Atlanta, Jonesboro, and Fairburn the opportunity to save big when it comes time to purchase the perfect new Nissan for their lifestyle. As you shop, be sure to work with our friendly sales team to ensure all your Nissan questions are answered. Once you’ve narrowed down your options, hop behind the wheel to test drive your favorite new Nissan car, truck, or SUV! 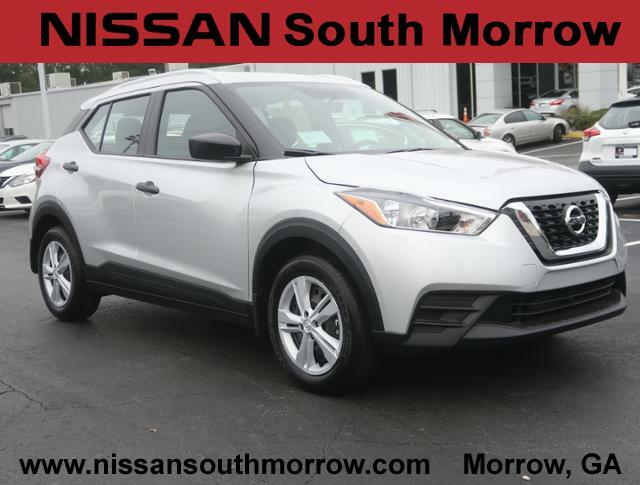 When you’re ready to start the new car buying process, visit 6889 Jonesboro Road in Morrow, GA for the latest savings on a new Nissan car, truck, or SUV from Nissan South in Morrow. The financing process for a new or used car can seem daunting. Frequently, it means hours at a dealership discussing monthly payments and credit scores. 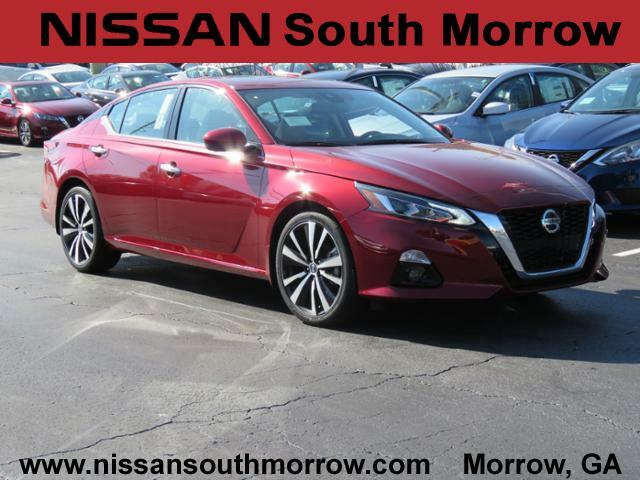 Fortunately, the in-house finance experts at Nissan South in Morrow are knowledgeable and ready to tackle any financial situation. Our finance team can walk you through every step of the process to make it stress-free so you can start driving the Morrow, GA roads in your new Nissan as soon as possible. Nissan South in Morrow works so hard to make financing a Nissan easier that we’ve made it available from home. You can begin with our online finance application. If you’re worried about your credit, Nissan South in Morrow can work with you! Our Credit Assistance and Rent to Own programs allow buyers with challenged credit to get behind the wheel of a Nissan today!